The first thing that you need to do to rent a minibus is to look for a good minibus rental service. This can be done by either referring to friends and family members or searching online. It is better if the service provider is somewhere close to where you live. Check the ratings, reviews and customer feedback etc to know the positives and negatives of the service. Once you have search for a minibus rental services after comparing the possible options, the next thing to do is to compare the various models of the minibuses available with the provider. This can also be done at the time of choosing the rental service. Check the features, rental amount and condition etc of the vehicle and choose one which is most appropriate to you. Once you have selected the minibus model or variant, the next thing to do is to check the rental amount. See how the rent is being charged; whether it is on a distance basis or a time period basis etc. Try to bargain or negotiate the rental amount as majority of rental services might agree to offer you discounts etc. Also don’t forget to ask whether the fuel price is to be paid by you or the company itself. It is important to go through all the terms and conditions of the minibus rental service so that you are informed about the same and there is no confusion in the future. you must read the costs that you will have to bear if there is any damage to the vehicle and also about the insurance terms etc. 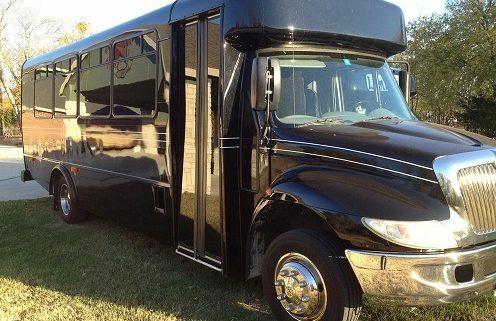 Now that you know the various useful tips and suggestions for renting a minibus, you can easily rent it on your own. There are many minibus and limousine car service providers out there and one of them is Dallas Limo and black car service in Fort Worth TX and Dallas Texas. Your wedding day is undoubtedly the most important day of your life and on this day, you would definitely want to indulge in some luxuries. One of these is spending on a good rented car to take drive way with your newly wedded partner after the ceremony and the most common choice is a limousine. However to book a limousine, you must ask the company certain questions so that there is no scope for error. The following are some questions to ask before limousine booking in DFW airport for your wedding. 1. What kind of training has been given to your drivers? The first and most important question to ask is about the training of the drivers. Make sure the training is sufficient and the driver is licensed to ride across the state borders as well. If the need be, you can also check the license yourself and also any certifications if valid. 2. Which limousine models do you have? Another important question to ask before renting a limousine is the model options available. Note down the model options and then decide which one you would like to book. If possible, ask the company to show you the models so that you can check their condition as well. 3. What are the rental and service charges? One of the most vital questions that you should definitely ask is about the charges of the limousine rental service. When the price is told, you must also task if it is all inclusive and whether you would need a contract to pay the amount. This helps you check whether the service falls in your budget bracket or not. 4. What is your insurance policy and what all it covers? It is important to know what the insurance policy of the rental is and what all it covers. This helps you in the case of any mishappening or accidents. In case of any personal injury because of the vehicle or driver, the company is liable to reimburse you and you must know of your rights in advance. 5. Is it okay to drink, eat or smoke in the vehicle? Since it is your wedding day for which you are making the bookings, you might want to enjoy with your partner with eating and drinking. It is thus important to ask the limousine rental company whether foods, drinks and smoking is allowed or not. Now that you know the top questions to ask before renting a limo for your wedding, you might have an easier time making the bookings. 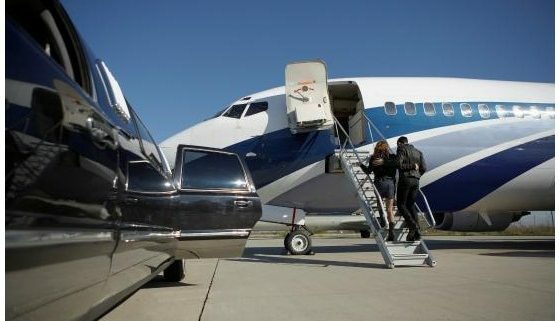 To book Van service to DFW airport or a limo in DFW airport, Texas, you can contact Dallas Limo and Black Car Service. Limo rental service is a fabulous kind of a service which enables you to rent a limousine for a desired period of time and lets you enjoy its luxury and comfort. However in spite of being so popular, there are many myths and misconceptions that are associated with them. It is important to clear these misconceptions so that when you rent a limo, you don’t have any doubts left in your mind. The following is a list of the top myths about limousine DFW airport service or limo rental in general. The first myth about limo rental services is that they are expensive. Most people believe that renting a limousine is an expensive affair however this is not true. There are many rental services which provide the vehicle at reasonable rates. People also have a misconception that these services are only meant for the rich people which again is not true. Another myth associated with limo rental services is that limousines are not meant for longer distances. This is not true since you can also rent limousines or other black car services for longer distances as well without any issues. When you visit airports, you see a lot of limousines waiting in the parking lots. This forces people to believe that limousines are only meant for rentals from and to airports. But this is not true because you can rent limousines for travelling from anywhere and to anywhere. Another common misconception that is associated with limousine rental services is that renting a limo from a reputable company can prove to be very difficult. But this is not correct since to contact one, all you need to do is to give them a call or visit their office. Tell them what kind of rental service you want and discuss the terms to book the car. It is a common belief among people that one can only rent older models of limousines. But this is not true and also depends upon the limo rental company. If you are able to find a good and reputable rental service, then you will be able to rent latest limousine models as well. However it is important to note that newer models may cost you more rent. If you wish to rent a limo or a van service to DFW airport, then you can contact Dallas Limo and Black Car Service in Texas easily.